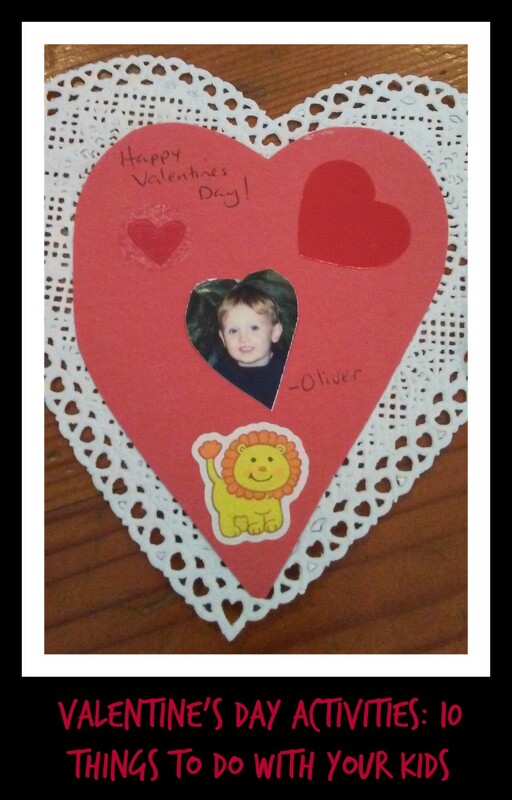 Valentine's Day holds special memories for me because my mom always spent time helping me make my own Valentines when I was a child. She taught me all of the techniques her own mother taught her. I never handed out store bought cards. 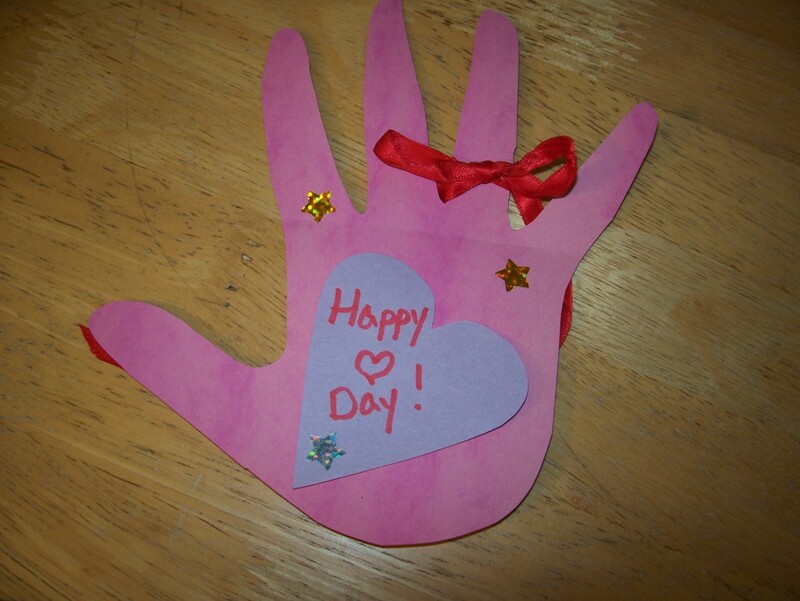 Not only did I get to spend special time with my mother, but I also had a lot of fun creating the beautiful cards. 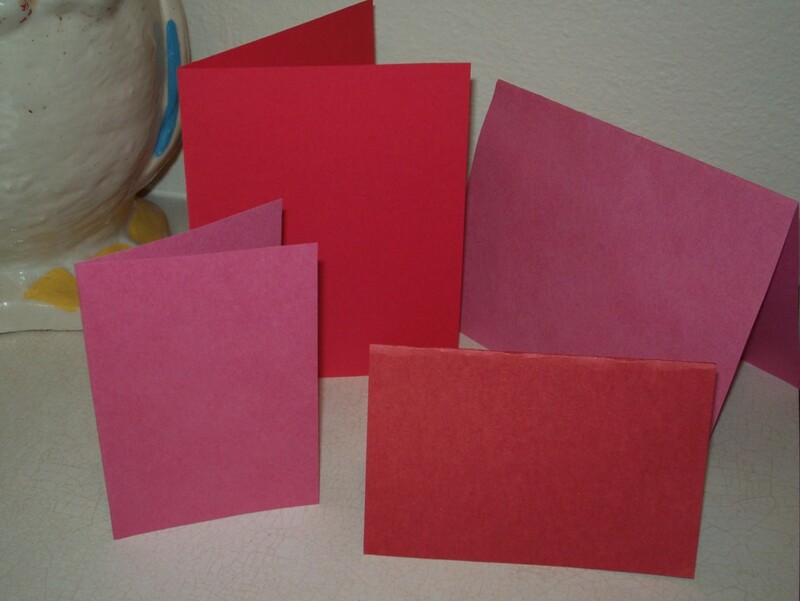 When I took the cards to school to share with my friends and classmates, my colorful cards always stood out from the flimsy, store bought Valentines. To make this time-consuming project go smoothly, be sure to gather your supplies ahead of time. 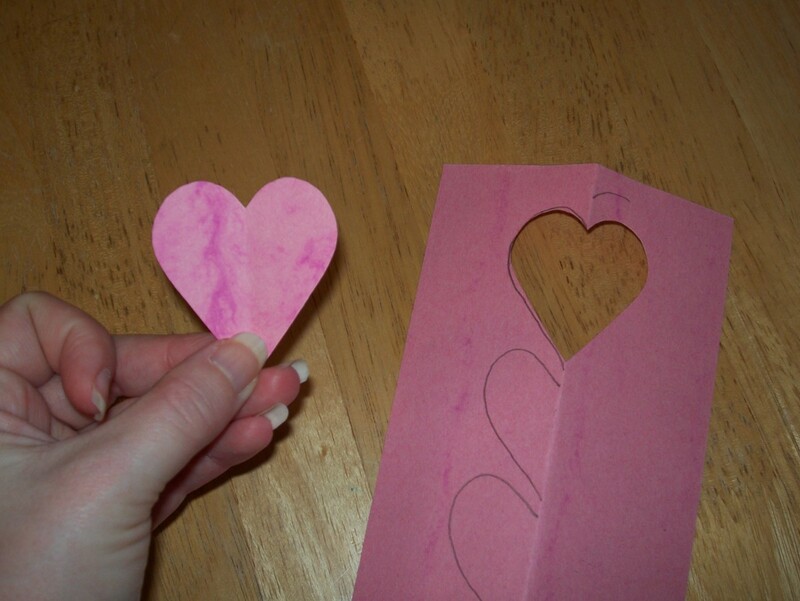 If you have leftover hearts, cards, or other supplies, simply store everything away for next year's cards. 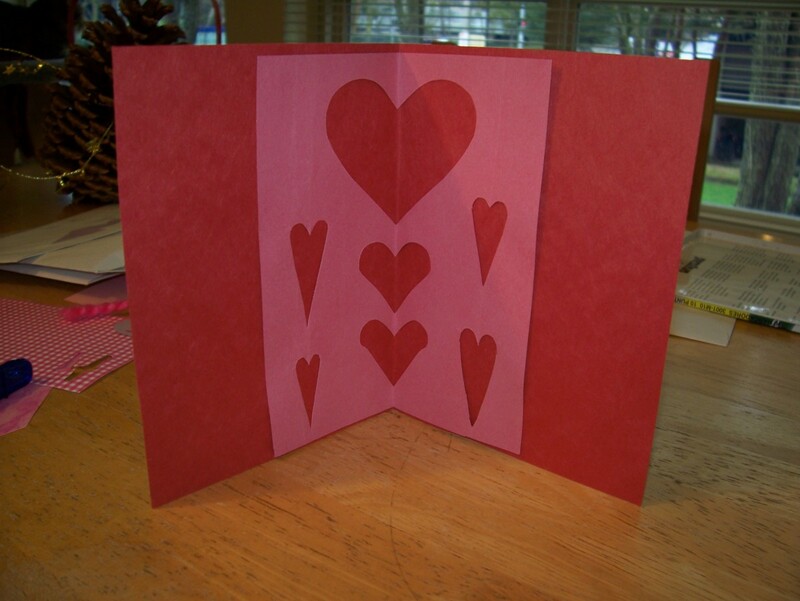 The folds to make smaller cards. Save the papers you cut the hearts out of. You can paste them on the outsides and insides of your cards. Glue them inside your cards. Then, when the card is opened, there will more hearts. Glue the heart petals together. Stick the lollipop through the holes. 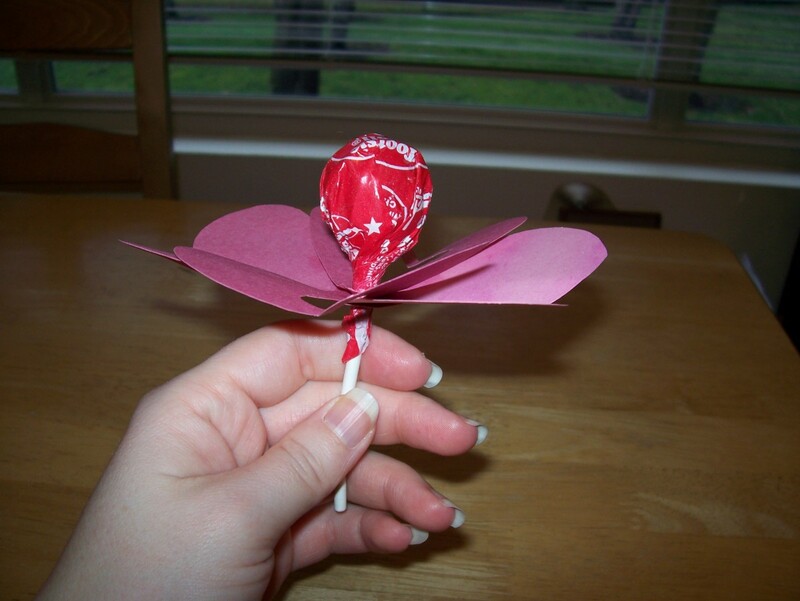 You will want to make a lot of these before you start making the cards. Make them in different sizes—small, large, long, short, fat, skinny—and different colors. 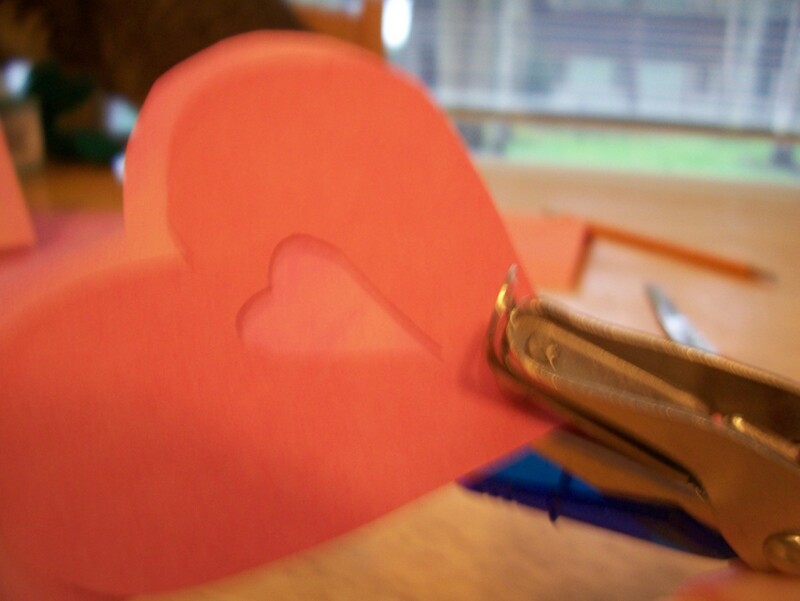 Your children can help you cut the hearts out as long as you have child-friendly scissors for them (and they will have fun doing it). 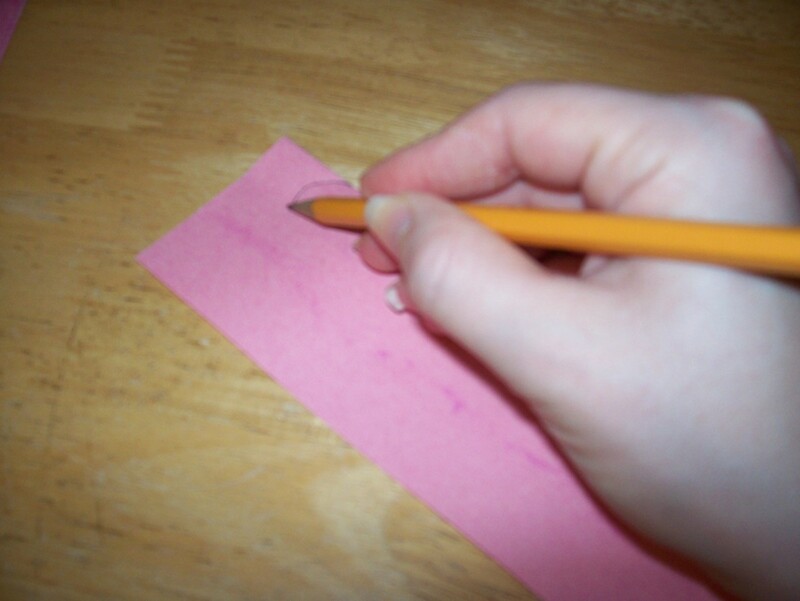 First, fold your paper because you will want to work along a crease. 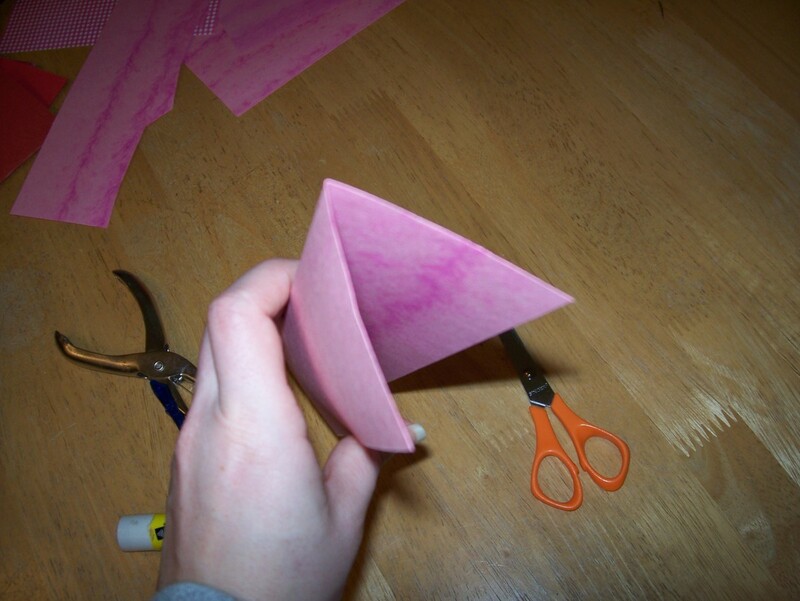 Unless you want a huge heart, don't fold an entire piece of paper in half. Fold it so it will be a good width for half of a heart. Next, starting at the crease, draw half of a heart. 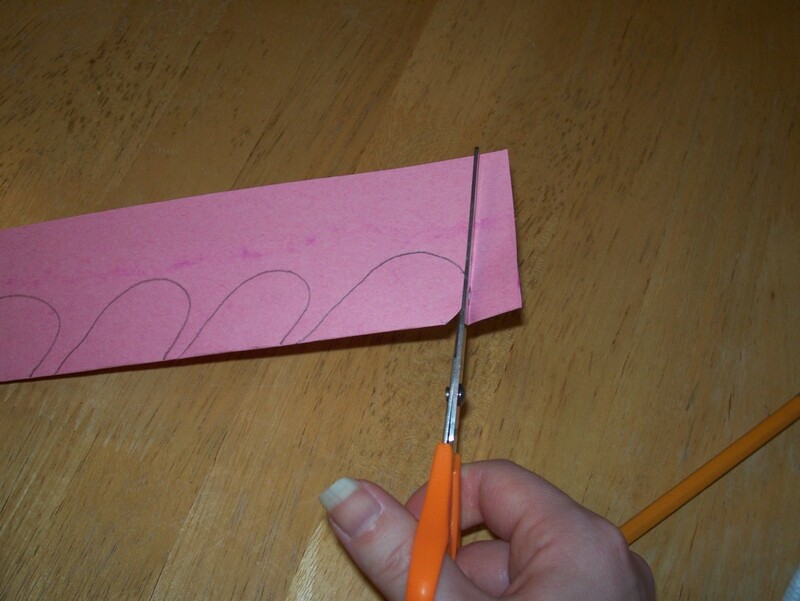 Then, keeping the paper folded, cut along the line you just drew. Unfold your heart. To make your hearts a little more fun, you can even fold them in half and cut smaller hearts out of them. As you practice this, you will find you don't even need to draw the heart before cutting. Making the base cards is really easy. Basically, choose the size you want to make, and cut them out. 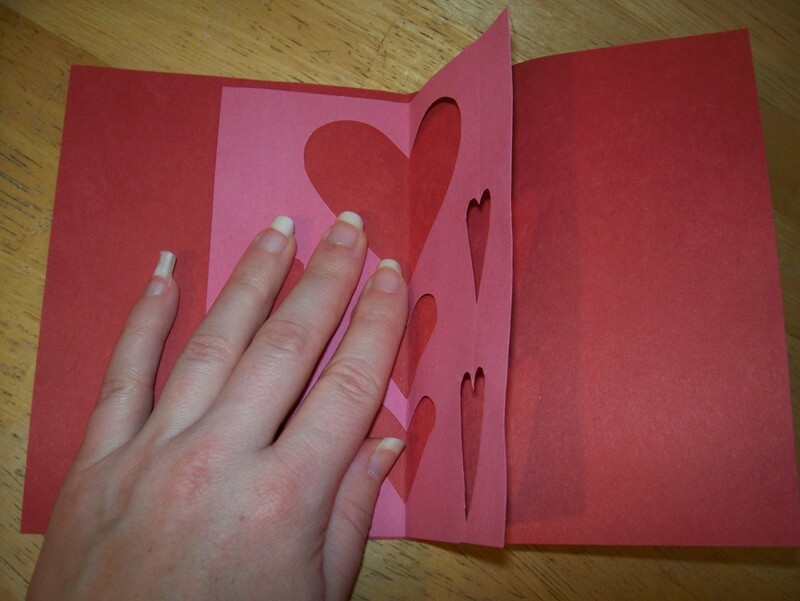 For a bigger card, fold your paper in half lengthwise (so the shorter ends meet each other). Unfold and cut along the crease. 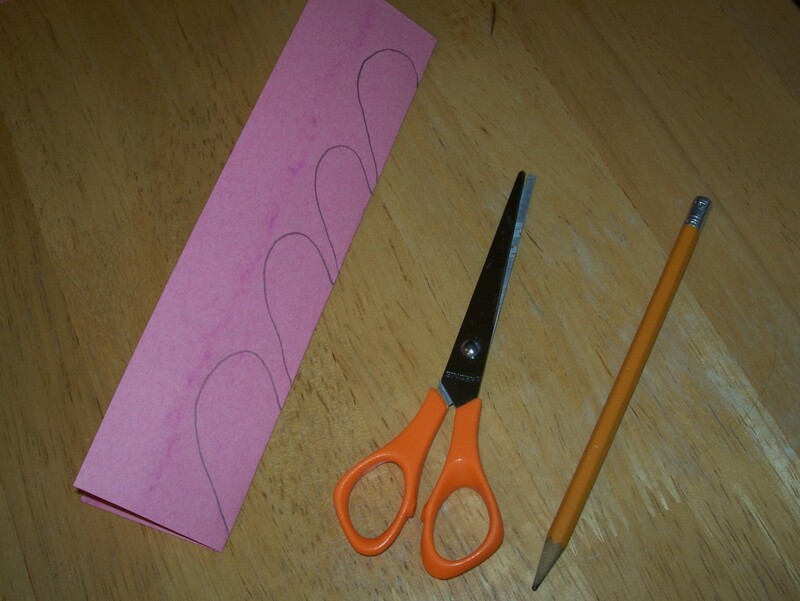 Then, fold each half lengthwise to create your card. If you want a smaller card, fold the paper in half lengthwise. 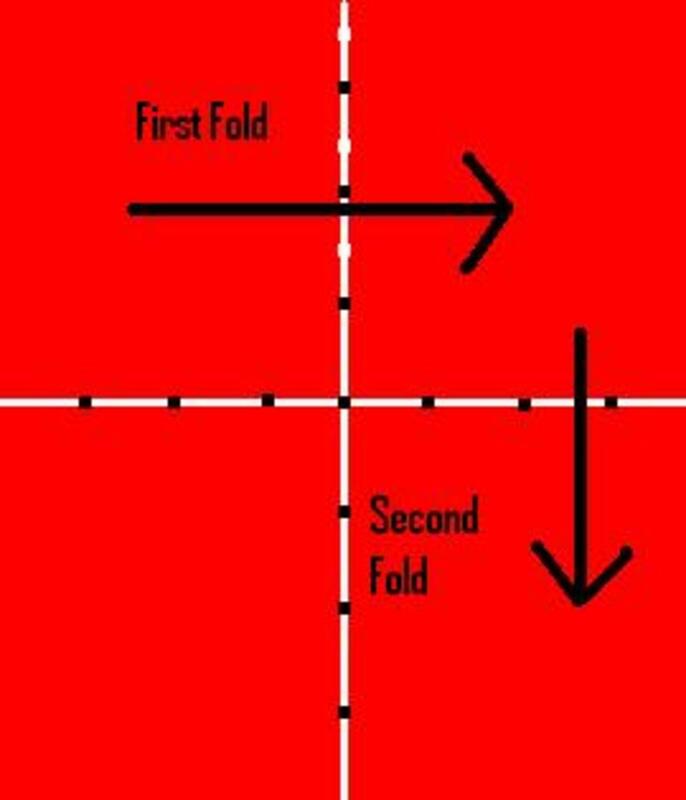 Instead of cutting, though, you will want to fold it again, so the paper is creased into four rectangles. Now, cut along the creases. You will have four rectangles. Fold these into cards. I’m calling these the traditional cards because they are the most basic ones I made as a child. 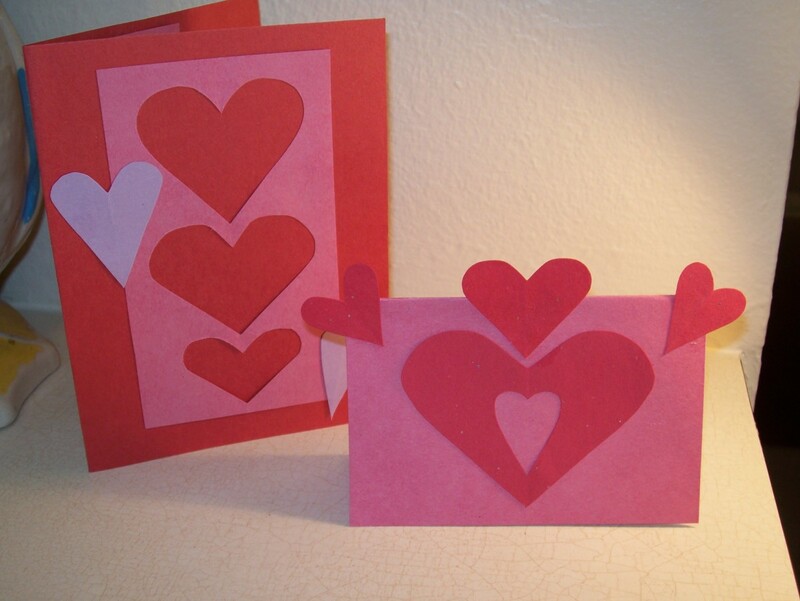 Decorate each card with cutout hearts and other decorations. Write a little note and/or draw a picture inside each card. You can also cut a heart out of the fold in one of the base cards. 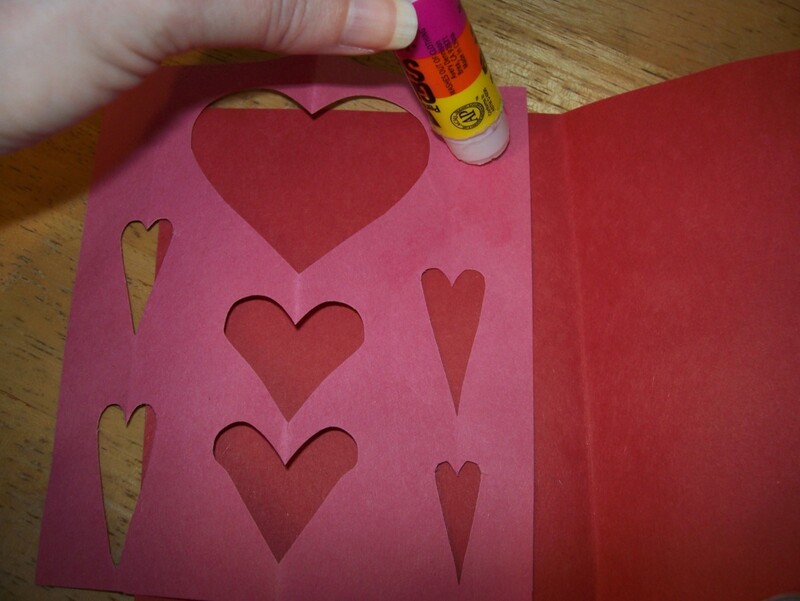 Set the heart aside, but glue the cut card inside of a card of another color. When you open the card, you will see a heart. 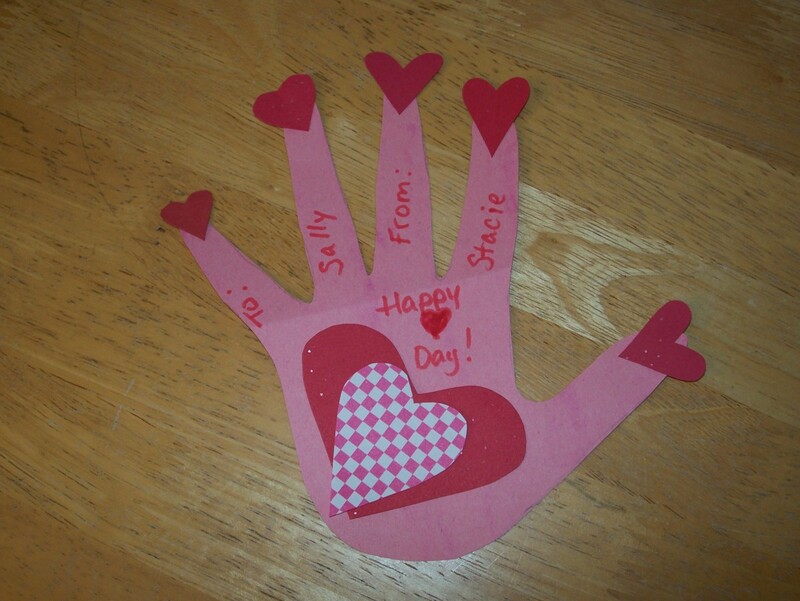 To make it fancier, glue a piece of lacy paper between the two cards, so you will have a lacy heart. These adorable cards are super easy to make, and way too cute. Stack the hearts together, then punch a hole about ¼” from the bottom. 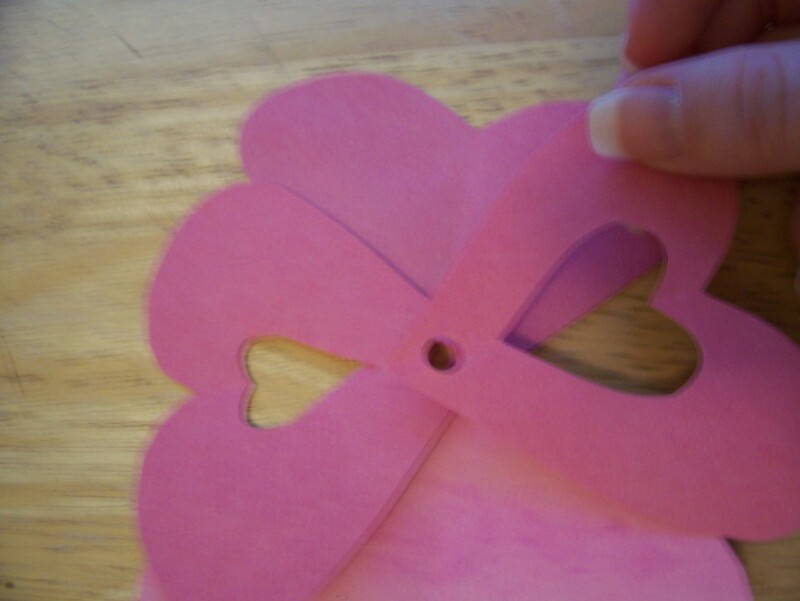 Now, position the hearts so they look like flower petals, lining the holes up. 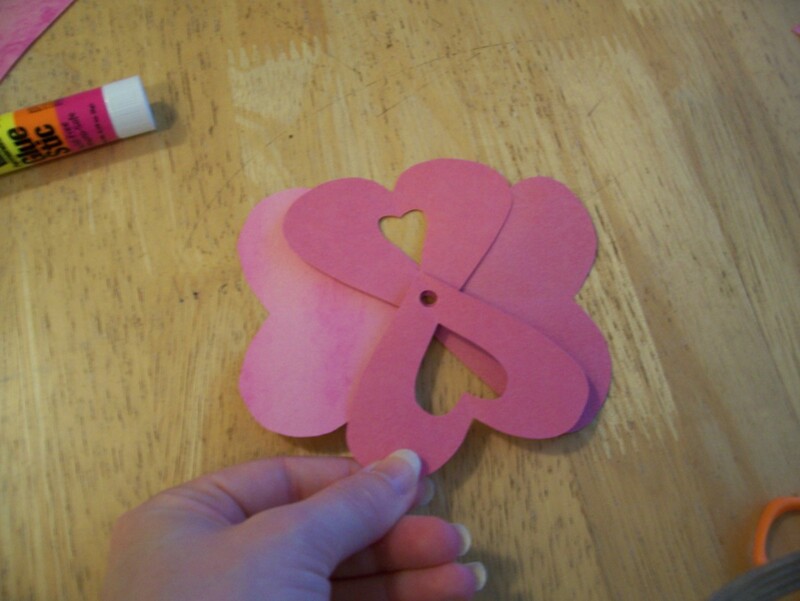 Glue the petals together around the holes. 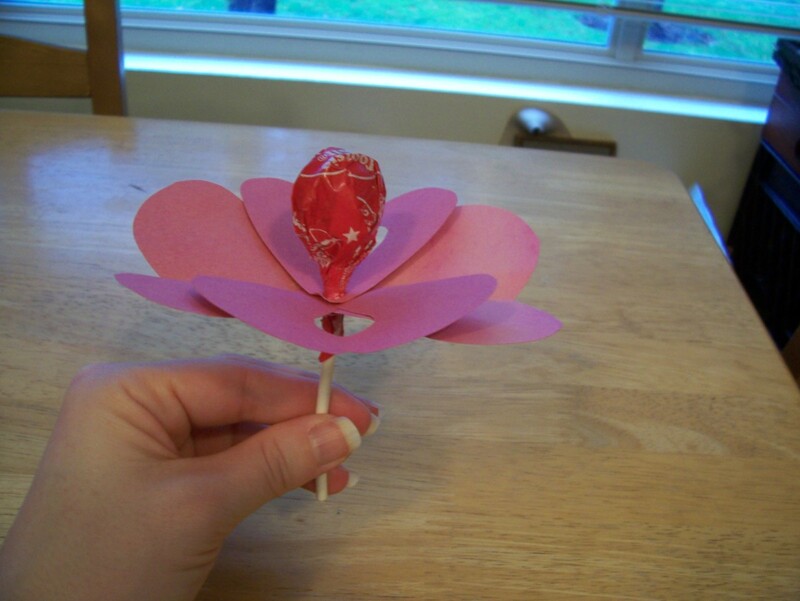 After the glue is dry, insert the lollipop through the hole. 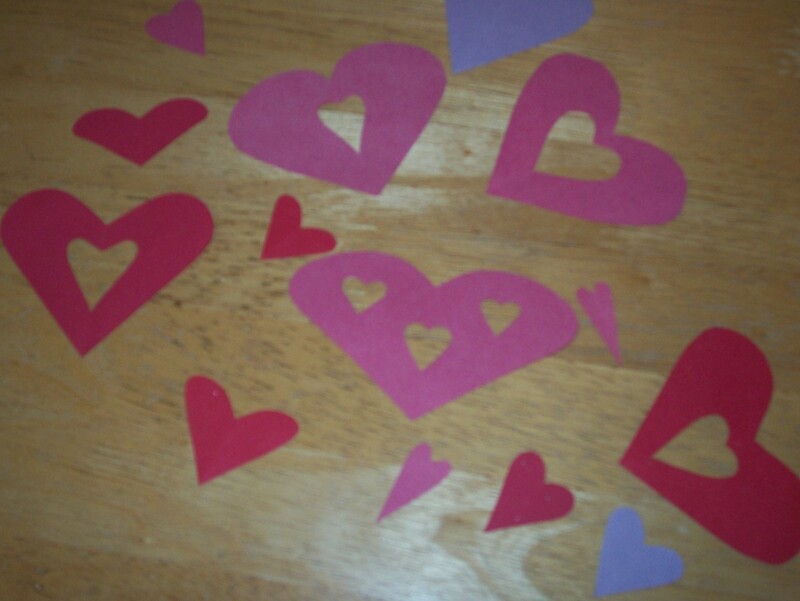 Write your Valentine message on the heart petals. These sweet cards will definitely be unique no matter who makes them! 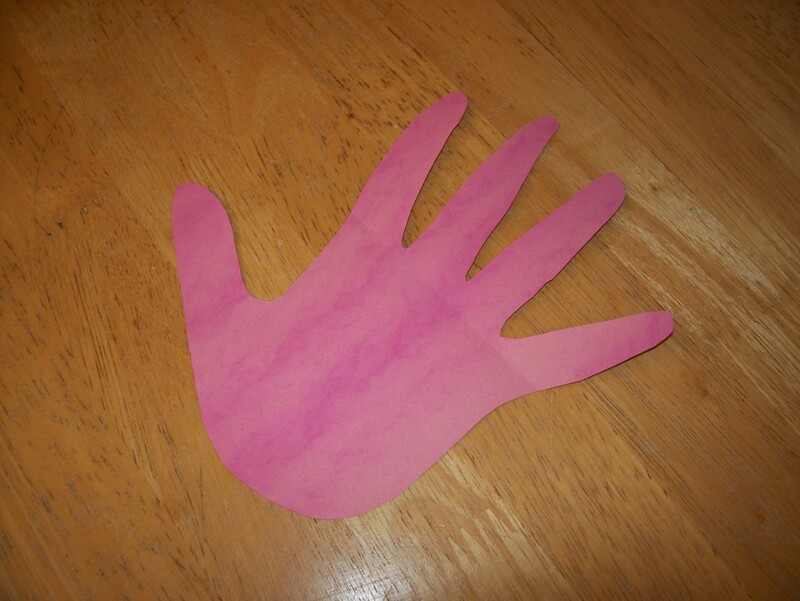 Trace the little hands on to the construction paper, then cut them out. Simply decorate the cards by drawing and gluing on fun stuff. It might seem like quite a project, but making these cards is worth it. 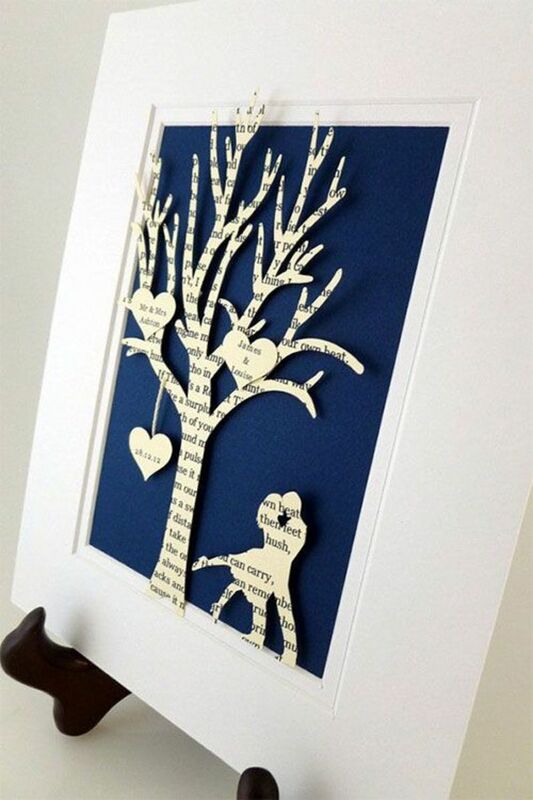 You will be creating unique cards, and making wonderful family memories. Plus, you will encourage your children to be more creative and imaginative. 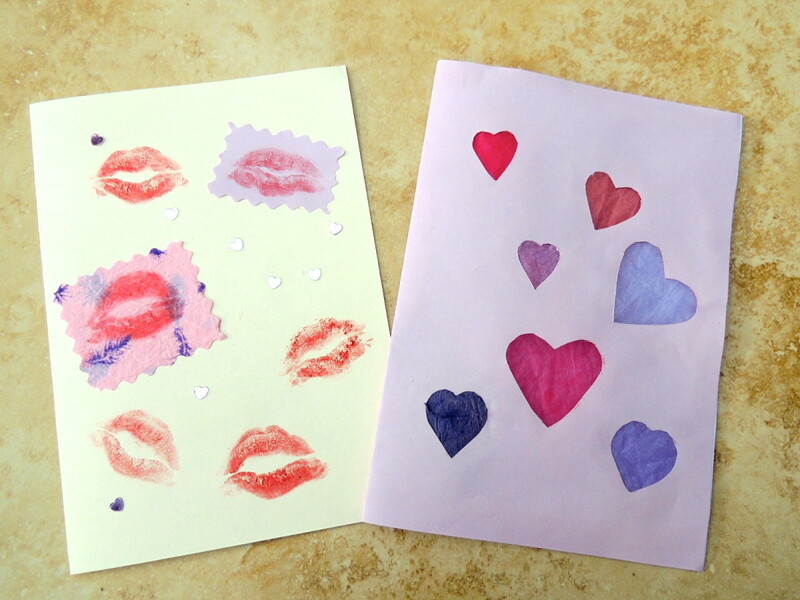 When you help your kids make these cards, I bet you will start feeling more like a kid, too! 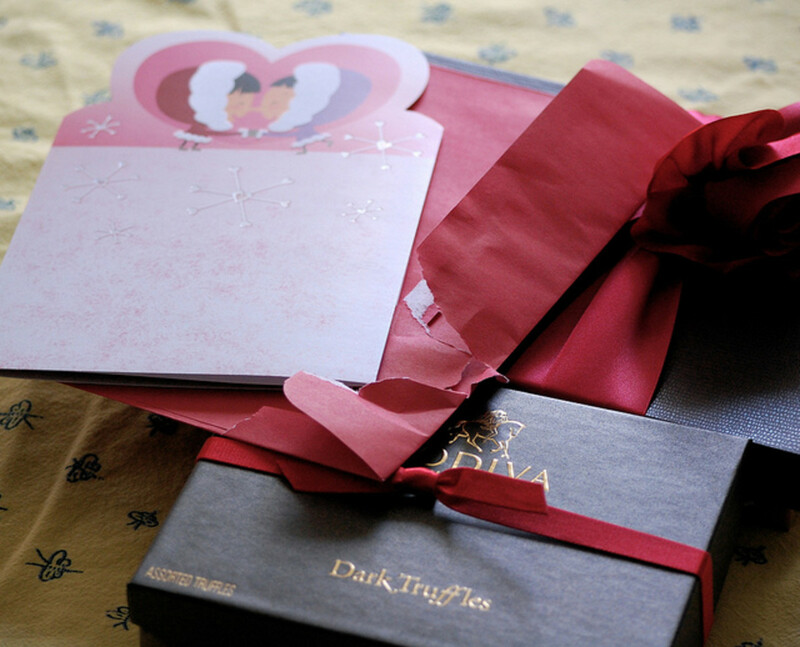 Let this project help you get into the Valentine frame of mind. Very cute! What a great project for the kids. I love the wonderful ideas. Love making Valentines. The lollipop was a new idea. The timing is perfect. Noticed a craft store going out of business yesterday headed there today for lace doilies. Thumbs up, interesting and awesome! What a great idea. These are so adorable! Hi, how cool. I miss making cards. 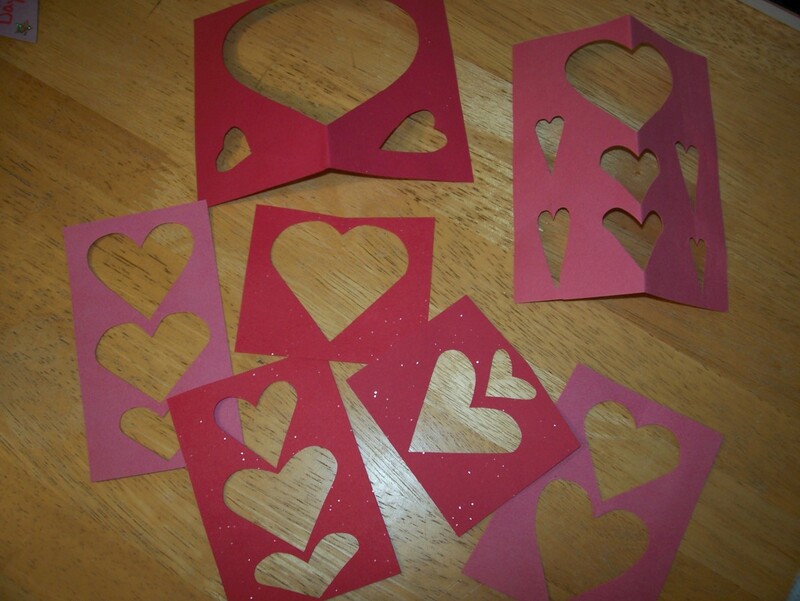 Beautiful valentine's day cards for little girls & boys. 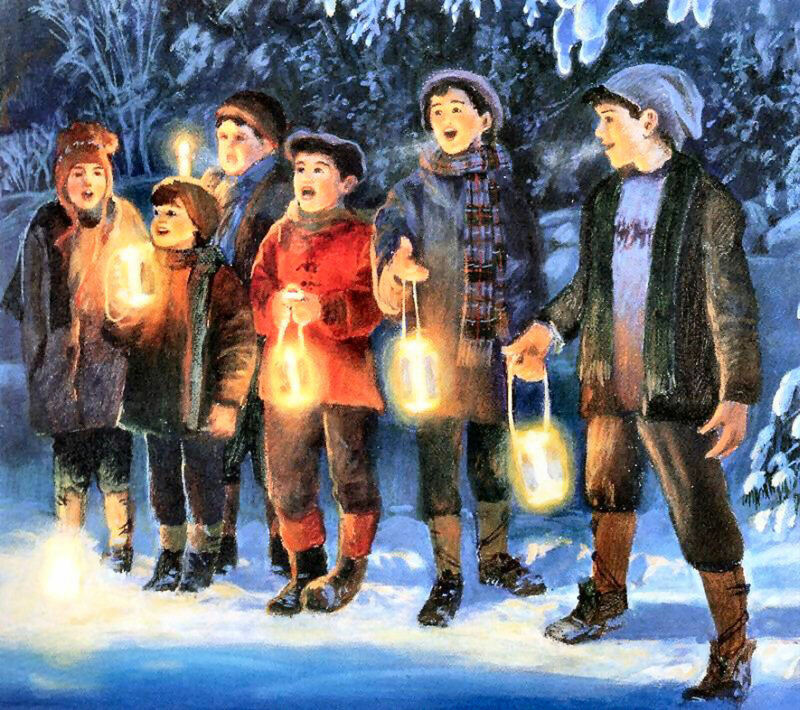 I believe they are the innocent true lover's. For them it's just fun. 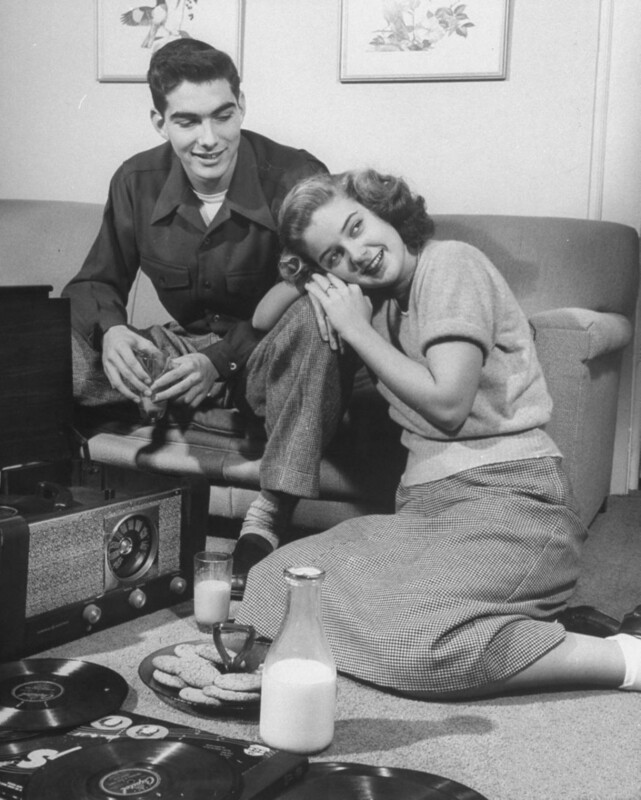 Come visit my Valentine's day hub it's about big boys & big girls. Valentine's Day cards for children seems a bit, well, odd to me. I just love the heart flower. My kids will love this. Thanks. Very good hub! Kids do love projects like this! I came back here to give this a thumbs up. I am new and checking out the hubs yours is very neat. 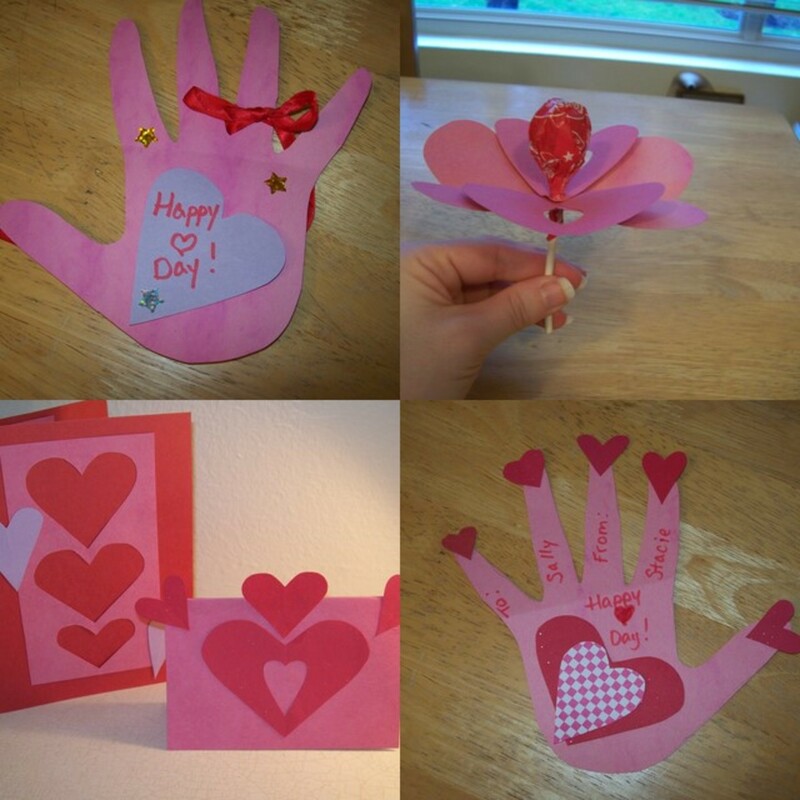 I also get my kids to make homemade valentines as they are more special. I hope you all have fun making them. The best part is that they are more meaningful, but also create memories while you make them. This is a truly thoughtful idea-I never handed out store bought cards either and the art of crafts has been declining rapidly as technology looms larger on the horizon. Kids need to play with glue and glitter and a giant stack of construction paper! 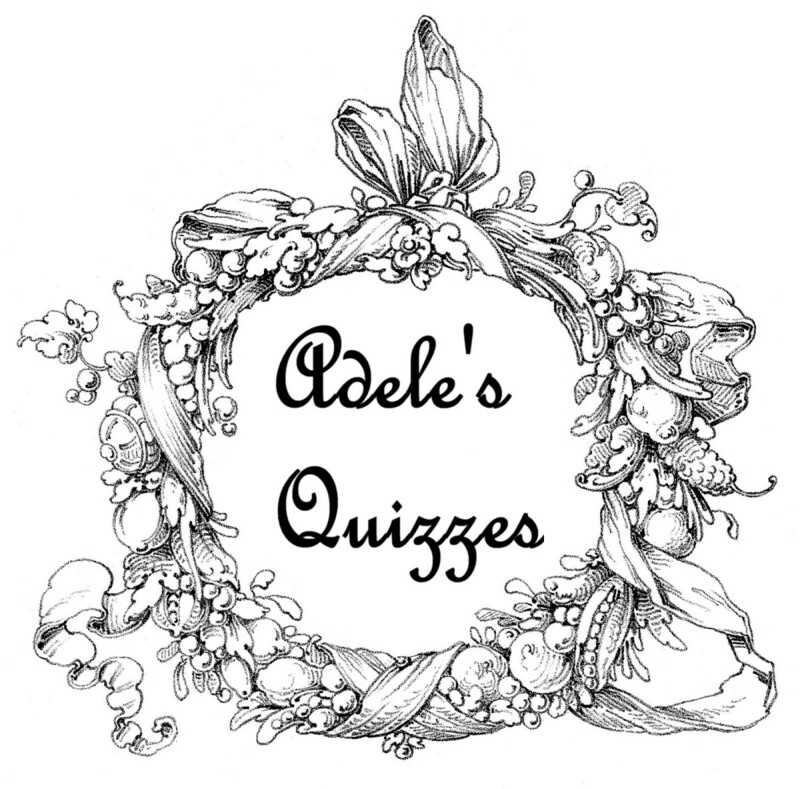 I'm sending this link to an art teacher friend of mine who'll flip over these projects. Thanks! What a great hub, fantasic ideas. Great hub and very interesting hubpage. Very good hub with lots of pictures for illustration. My kids will love trying these ideas out, I'm sure! These are super cute! I wrote a hub about toddler activities. I'm going to use your beautiful hub for inspiration -- not the content -- but the layout and style.Very inspiring! And then I'm going to do some of these craft projects with my little one. Thank you! I'm not much into these crafts, but this is a great hub. Details are awesome and instructions are easy to follow. Thanks everyone, hope you have fun making some cards this year! These are really pretty - great hub! Great ideas. Thanks for sharing. Especially liked the lollipop one. Great ideas, wonderfully presented. Thanks! Great idea for doing with the kids! Very good hub Stacey, I like the lollipop one too. I can definitely refer to this hub soon, I have a ten year old daughter. Thank you for sharing it. Too cute! I love the lollipop one!